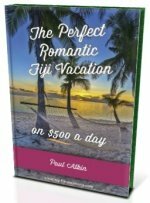 Want to explore Fiji? Go exploring with a car hire Fiji style and discover wonderful beaches, old fortresses, the capital of Fiji and more. Road rules - Left or right side? - Hiring from Nadi Airport? Driving is on the left side of the road. The same as Australia, New Zealand, U.K., and Japan. The maximum speed limit in built-up areas is 50 km/h (30 mph) and on the highway it is 80 km/h (50 mph). A highway in Fiji often means a single carriageway in each direction with stray animals falling into it's potholes. If you hold a valid driver's licence from an English speaking country, then you are good to go. Otherwise you need an international drivers licence which you'll need to obtain from your home country. If you're sticking to paved roads, then getting any vehicle should be fine. However, if you wanting to explore a bit further e.g. 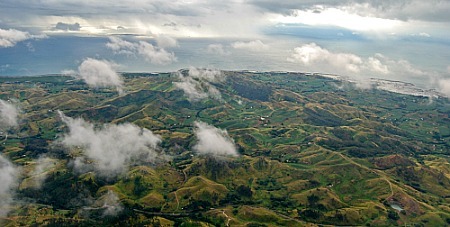 the highlands of Viti Levu, or any other islands like Vanua Levu or Taveuni, then you'll need a 4WD. The two big islands of Viti Levu and Vanua Levu have 90% of Fiji's roads. Only around 20% are sealed, otherwise you'll will need a 4WD. The easiest option is to explore the main island Viti Levu, and getting around on sealed roads won't be a problem. Not only is Viti Levu the biggest island, but you'll get the most bang for your buck with the most things to see and the most things to do. For more about where to explore in Fiji, visit the Where to Explore with your Fiji car hire section. Along with a valid driver's licence, there is a minimum required age of 21, and in some cases 25, or 2 years worth of driving experience. Viti Levu is the easiest place to rent vehicles, with Nadi International Airport having the most choice of Fiji car rental companies. Vanua Levu and Taveuni will offer mostly 4WD's due to the rough roads there. - available at Nadi airport, Suva, Nausori airport, Korolevu, and Korotogo. - available at Nadi airport, Suva, Nausori airport, Sigatoka, Labasa, Savusavu, and Taveuni. - Hertz and Thrifty are available at Nadi airport and Suva. Inquire at your resort. Almost everything can be booked/organised at your resort. Even easier if you are staying near Nadi or Denarau Island. Nadi International Airport handles 95% of international flights. In all likelihood, this is where you are flying in and out of. Consequently, this is where you will find most Fiji car rental options. Visit our Transfers from Nadi Airport section for the lowdown.